Since the availability of the so-called "April 2018 Update" of Windows 10, in Version 1803 or 1804, we often get enquiries with the info that recording audio signals with the ESI audio hardware in some applications is no longer possible. This affects applications that use the regular Windows MME interface to access the audio hardware, for instance programs like Audacity. This is actually related to a security setting that possibly prevents audio recording due to privacy settings. 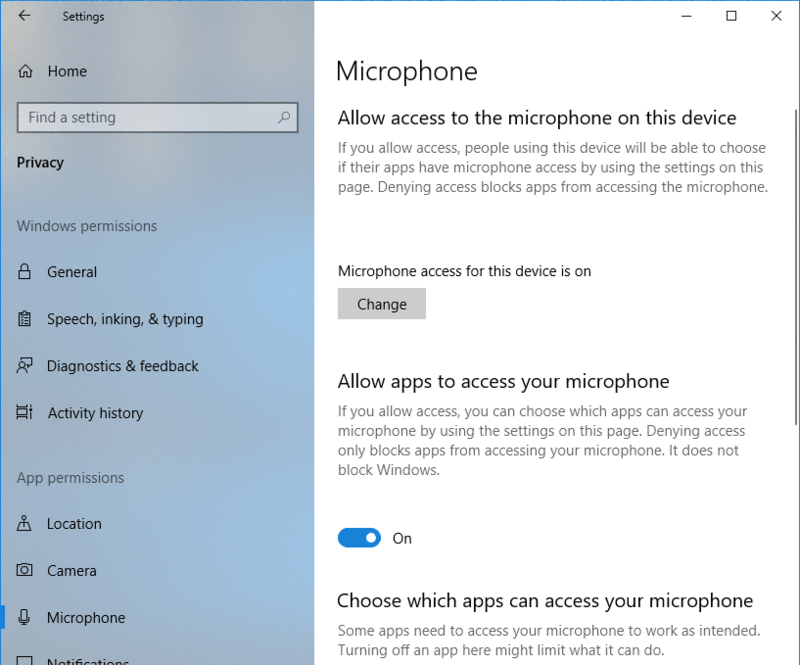 The required option Allow apps to access your microphone must be set to On in order to allow audio recording in all programs. You can find the dialog that is shown below in the system settings under Privacy > Microphone. A similar setting did exist in previous Windows 10 versions as well, however it affected only the applications that are listed in the dialog further below - mostly software from Microsoft that is a part of Windows. Don't be confused by the term Microphone - Windows does not know what source you are using for your audio recordings with your audio hardware. That means that also recording of other sources can be affected. Most professional audio applications, especially all programs that are using ASIO to access the audio hardware, are not affected by this setting.